Prophetic Ministry is the Holy Spirit’s gift to the Church. Unfortunately, this gift has been abused, confused, and misused to a point that makes it difficult for Church leaders and members to embrace in today’s culture. What if there was a way we could reclaim a meaningful, God-honoring manifestation of prophetic ministry in our churches, without all the mess? We need Prophetic Team Ministry rooted in the gospel and empowered by the Spirit serving in the Church today. Presented by Darin Slack, this 6-lesson course offera a compelling perspective on engaging prophetic team ministry drawn from Darin's thirty years of proven, submitted prophetic ministry to the local church. Darin’s proven prophetic gifting mixed with ongoing submission to local church leadership and sound doctrinal training have produced a uniquely mature and compelling perspective. Darin Slack uses a biblically simple, sober, and sound delivery that challenges indifference and complacency while discouraging doctrinal disorder in the administration of the gift. It strikes a powerful and necessary balance that will inspire Church members, leaders, and students to see the great potential for blessing in prophetic team ministry, while reducing risk. Drawing from his new book, Reclaiming Prophecy:Encouraging Church Leaders to Rethink Prophetic Ministry, he offers Church leaders, ministers and members of all doctrinal backgrounds, a faith-building process for realizing team prophetic ministry that edifies the Church. This six-lesson video course was recorded during an ICM Live Web-Class. "This will be a very unique live web course. As I was praying in church a few weeks ago I heard the Lord speak to me. 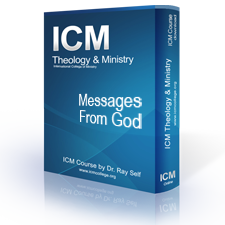 He put into my spirit a new ICM course. This is to be unlike anything we have ever done before. It is called Messages from God. The entire six week course is going to be exactly that. The Lord said He would give to me prophetically what the content for each lesson will be. My clear impression was that it is going to be personal messages from the Holy Spirit to whoever joins or listens to the course. He put into my heart that each student that participates in this course will be there because of a divine appointment. I believe that the students that register will be the students that the Lord wants to speak to personally." The nine gifts of the Holy Spirit listed in 1 Corinthians 12 are demonstrations of God's matchless grace at work in the world, as well as evidence of His powerful presence in the midst of His church. They are manifestations of the sovereignty and provision of God that people can actually see, hear, and experience with their senses. And they testify to the crucial truth that Jesus Christ is the Lord and Savior of the world. Become a conduit of God's grace. This is a course was recorded in ICM's Live Web Classroom. This teaching by Dr. Ray Self will take serious look at the biblical mandate for all believers to operate in the gift of prophecy. 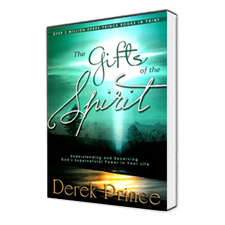 If you have ever had a desire for this gift in your own life this course is for you. This course will stretch your faith as we break the traditional church teaching or lack of teaching on this vital topic. If any believer can prophesy why are not more doing it? What is the difference between a prophecy and exhortation, preaching or testimony? How to know if it is a true prophetic word or just imagination. What is the difference between a prophet and the gift of prophecy? Is it possible that God has been speaking to you but you didn't perceive that it was His voice? Perhaps God spoke to you through an impression in your spirit or through a passage of Scripture or via a prophetic dream. All are possible as God continues to speak today in many different ways. Created to commune with God, we can hear His voice, know His heart and understand His will for our lives. 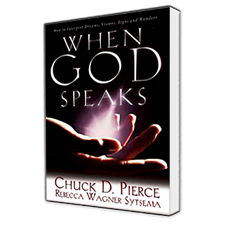 Chuck Pierce and Rebecca Wagner Sytsema show how to receive the Word of the Lord, how to interpret dreams and visions and, acting on what you have discerned, ultimately fulfill the destiny God has for you.